2011 Winsdown Cut Glass- (Chestnut Colt by Winsdown Westinghouse)- 2911 Missouri State Fair Futurity Weanling Colt Reserve Champion. 2011 Salina Charity Kansas Futurity Reserve Grand Champion and Amateur Weanling Champion. 2012 Missouri State Fair Futurity Yearling Reserve Grand Champion. 2012 Salina Charity Oklahoma Futurity Yearling Grand Champion. 2013 Salina Charity Oklahoma Futurity 2 In Hand Champion and Kansas Futurity 2 Year In Hand Champions. RWC Radiant Dianna (9 SBR Points)- 1988 St. Louis 3 Year Old Fine Harness Champion and UPHA Fine Harness Reserve Champion. 1989 KSF RWCC 3 Gaited Junior Championship and RWC 3 Gaited Junior Horse 15.2 & Under. 1990 UPHA Chapter V 3 Gaited Reserve Grand Champion and 3 Gaited Under 15.2 Champion. 1990 Midwest Charity 3 Gaited Reserve Grand Champion. 1991 C-Fair 3 Gaited Grand Champion. 1991 Northwest Fall Classic 3 Gaited Grand Champion. Reedann's Phlash- 2004 Mid-America Mane Event 3 Gaited Show Pleasure Novice Horse Champion. 2007 IASPHA 3 Gaited Show Pleasure Adult Reserve Champion. WC Aurora Borealis (19 SBR CH Points)- 2001 Nebraska Charity UPHA 3 Gaited Champion. 2001 Tanbark UPHA 3 Gaited Champion. 2001 All American Classic UPHA 3 Gaited Champion. 2001 KSF 3 Year Olf 3 Gaited Top Three. 2001 Wisconsin Futurity UPHA 3 Gaited Champion. 2001 American Royal UPHA Finals Reserve Champion. 2002 Nebraska Charity 3 Gaited Grand Champion. 2002 Mid-America Fall 3 Gaited Amateur Reserve Grand Champion. 2003 Glen Valley Classic 3 Gaited Amateur Grand Champion. 2003 Lexington 3 Gaited Jr. Ex. 14 & Under Grand Champion. 2003 KSF WCC 3 Gaited Jr. Ex. 14-17 Championship. 2005 Madison Classic 3 Gaited Jr. Ex. Reserve Grand Champion. 2005 Oshkosh 3 Gaited Jr. Ex. Grand Champion. 2007 Madison Park Pleasure Grand Champion. 2007 Illinois State Fair 3 Gaited Amateur Grand Champion. 2008 Glen Valley Classic Park Amateur Grand Champion. 2010 ASAW 3 Gaited Ladies Stake Reserve Grand Champion. Reedann's Shine On- 2006 Madison Classic 5 Gaited Ladies Reserve Champion. 2006 Wisconsin Futurity 5 Gaited Ladies Reserve Champion. 2007 MGM Spring 5 Gaited Ladies Reserve Grand Champion. 2008 Minnesota Futurity 5 Gaited Open Reserve Champion and Model Horse Reserve Champion. 2008 Octoberfest 5 Gaited Champion. Go Global- 2007 Oshkosh Western Reserve Grand Champion. 2007 ASAW S&B Shatner Reserve Champion. 2007 St. Louis Country Hunt Reserve Champion, Country Western Novice Champion and Country Western Junior Champion. 2008 Colorado Classic Country Western Grand Champion. 2008 UPHA Almost Summer Country Western Grand Champion. 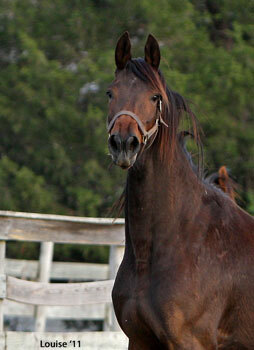 Long Vue's Remember Me- 2003 KSF Yearling Breeder's Stake Top Three. WC Sir Radiant Knight- 2009 KSF Amateur Kentucky Futurity 2 Year Old In Hand Champion. 2010 UPHA American Royal 3 Year Old Fine Harness National Champion. 2010 Shelby County Fair 3 Year Old Fine Harness Reserve Champion. 2010 All American Horse Classic UPHA Fine Harness Reserve Champion. CH I'm Radiant Too- 1997 Wisconsin Futurity Park Amateur Champion. 1999 Des Moines 3 Gaited Show Pleasure Adult Grand Champion. 1999 Minnesota State Fair 3 Gaited Show Pleasure Grand Champion. 1999 Wisconsin Futurity 3 Gaited Show Pleasure Adult Grand Champion. 2002 Oshkosh 3 Gaited Show Pleasure Jr. Ex. Reserve Grand Chamion. 2003 Des Moines Pleasure Equitation Champion. 2005 Madison 3 Gaited Show Pleasure Jr. Ex. 13 & Under Grand Champion. 2005 ASAW 3 Gaited Show Pleasure Jr. Ex. Grand Champion. 2010 UPHA Chapter Eight UPHA Challenge Cup W/T 10 7 Under Champion. Casino Lites- 2001 Santa Barbara 3 Gaited Show Pleasure Junior/Limit Champion. 2002 Arizona Futurity Equitation Champion. 2003 Carousel Charity USEF SS Medal Champion. 2003 Arizona Futurity Equitation Grand Champion. 2005 Carousel Charity Equitation Champion. 2005 Carousel Equitation Champion. WC Gloria Vanderbilt- 2006 UPHA Chapter V UPHA 3 Gaited Reserve Champion. 2006 KSF WC 3 Year Old 3 Gaited. 2007 UPHA Chapter V 3 Gaited Junior Champion. 2008 UPHA Chapter V 3 Gaited Ladies Champion. 2009 Kentucky Spring Premier 3 Gaited Jr. Ex. Champion. 2009 Shelby County 3 Gaited Jr. Ex. Grand Champion. 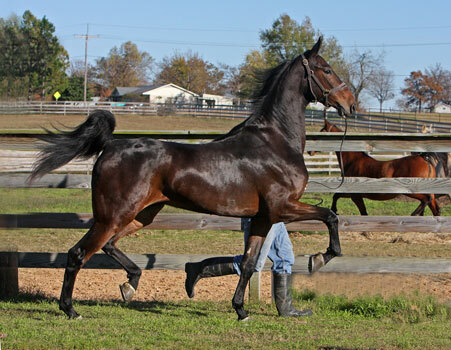 2009 Lexington 3 Gaited Jr. Ex. 14 & Under Grand Champion. 2010 Diamond Jubilee 3 Gaited Grand Champion. 2010 Jingle Bell 3 Gaited Grand Champion. 2010 Del Mar 3 Gaited Open Champion. 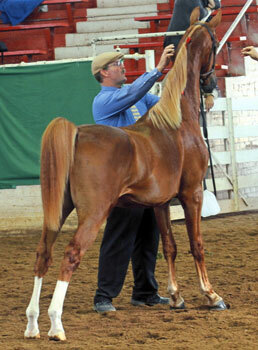 Designed To Shine- 2010 Mid-America Mane Event Park Pleasure Junior Grand Champion. 2010 Boone County Fair (MO) 3 Gaited Show Pleasure Grand Champion. RWC CH Fatal Charm- 1992 Illinois State Fair Futurity 2 Year Old Fine Harness Champion. 1992 UPHA Chapter V Fine Harness 2 Year Old Champion. 1992 St. Louis Charity Fine Harness 2 Year Old Champion. 1993 Illinois State Fair Futurity 3 Year Old Champion. 1994 UPHA Chapter V 3 Gaited Junior Champion. 1994 St. Louis Charity 3 Gaited Junior Champion. 1995 UPHA Chapter V 3 Gaited Grand Champion. 1995 St. Louis 3 Gaited Grand Champion. 1996 UPHA Chapter V 3 Gaited Grand Champion. 1996 St. Louis 3 Gaited Grand Champion. 1999 Syracuse 3 Gaited Amateur Grand Champion. 1999 Children's Benefit 3 Gaited Amateur Grand Champion. 1999 KSF RWC 3 Gaited Amateur 15.2 & Under. 1999 Eastern States 3 Gaited Grand Champion. 2000 UPHA Spring Premiere 3 Gaited Amateur Grand Champion. 2002 Tampa Charity 3 Gaited Jr. Ex. Grand Champion. Mistaken Identity- 2008 Morristown Charity Park Pleasure Driving Champion. Evangelista- 2008 Asheville Invitational Park Pleasure Junior Reserve Champion. 2009 Southeastern 3 Gaited Show Pleasure Jr. Ex. 14-17 Champion. 2009 Georgia National 3 Gaited Jr. Ex. Champion. 2009 Clemson Fall Classic 3 Gaited Show Pleasure Jr. Ex. Champion. Telling Secrets- 2005 The Bluegrass LTD STAKE GRAND CHAMPION. 2008 Wisconsin Futurity UPHA Park Pleasure Champion. 2009 Summer Fun Park Junior Novice Champion. Dianna Hi Lite (8 SBR CH Points)- 1995 UPHA Chapter V UPHA Fine Harness Champion. 1995 ST. Louis Charity UPHA 3 Gaited Champion. 1997 UPHA Chapter V Park Pleasure Grand Champion. 1998 UPHA Chapter V Park Pleasure Reserve Grand Champion. 1998 Boone County Fair Park Reserve Grand Champion. Definitely Dianna (5 SBR CH Points)- 2002 Boone County Fine Harness 2 Year Old Champion. 2003 UPHA Chapter V Fine Harness 3 Year Old Champion. 2005 Dayton Fine Harness Grand Champion. 2005 KSF Fine Harness Mare Top Four. 2005 Penn National Fine Harness Grand Champion. 2006 Ohio State Fair Fine Harness Grand Champion. The Princess Dianna- 2005 UPHA Spring Premiere Park Pleasure Junior Prospect Champion. 200 Syracuse SS Equitation 13 & Under Champion. 2007 Connecticut Summer Equitation Grand Champion. 2007 Eastern States NEHC SS Medal Finals Grand Champion. 2007 Octoberfest Equitation Grand Champion. 2008 Twin States Equitation Grand Champion. 2009 Syracuse Int. National Horse Show Good Hands Champion. 2009 Eastern States UPHA Chapter 14 Challenge Cup Champion. Trussardi- 2008 Nebraska Charity UPHA Park Pleasure Champion. 2009 Illinois State Fair 3 Gaited Show Pleasure Junior Champion. 2010 Pro-Am 3 Gaited Show Pleasure Novice Rider Reserve Champion. Lite Show- 1999 Southeastern 5 Gaited Junior Champion. 2001 Midwest Charity 5 Gaited Novice Reserve Champion. 2001 St. Louis 5 Gaited Novice Reserve Champion. 2002 Midwest Charity Show Pleasure Driving Adult 39 & Over Champion. 2002 St. Louis Show Pleasure Driving Reserve Grand Champion. Remember Dianna- 2000 Boone County Fair Park Pleasure Champion. Arctic Lites- 1999 St. Louis UPHA Park Pleasure Champion. 2000 Indy Charity Park Pleasure Junior Champion. 2000 Boone County Fair Park Pleasure Junior Champion. 2001 Big D Park Junior/Novice Champion. 2002 Oklahoma Centennial 3 Gaited Show Pleasure Jr. Ex. 14-17 Champion. 2003 Oklahoma Centennial 3 Gaited Show Pleasure Jr. Ex. 14-17 Champion. 2007 Germantown Park Amateur Grand Champion. 2008 River Ridge 3 Gaited Country Jr. Ex. 13 & Under Grand Champion. 2009 Evansville 3 Gaited Show Pleasure Adult Champion. RWC Delicious- 1999 St. Louis UPHA 3 Gaited Reserve Champion. 2000 KSF RWC 3 Gaited Over 15.2 Junior Stake. 2001 River Ridge 3 Gaited Over 15.2 Champion. 2002 Oklahoma Centennial 3 Gaited Grand Champion. Mystery Guest (15 SBR CH Points)- 2003 Syracuse Int. UPHA Park Pleasure Champion. 2005 Children's Benefit Park Amateur Reserve Grand Champion and Park Amateur Champion. 2005 Octoberfest Park Amateur Reserve Grand Champion and Park Amateur Champion. 2006 Park Amateur Grand Champion. 2007 UPHA Spring Premiere Park Amateur Grand Champion. 2007 ASHAV Park Amateur Grand Champion. 2009 ASHAV Park Amateur Grand Champion. Radiant Future- 2006 Calvary Episcopal UPHA Park Pleasure Champion. 2007 Greater Springfield Park Pleasure Amateur Reserve Grand Champion and Park Pleasure Amateur Champion. 2007 Boone County Park Pleasure Grand Champion. 2008 Summer Challenge Of Champions 3 Gaited Show Pleasure Novice Champion. 2009 Brown County Charity 3 Gaited Show Pleasure Jr. Ex. Grand Champion. Marc Jacobs- 2008 Des Moines 5 Gaited Junior Champion. 2008 Boone County 5 Gaited Junior Champion. I'm Custom Designed- 2008 Des Moines UPHA 3 Gaited Champion. 2008 UPHA Chapter V UPHA 3 Gaited Champion. 2008 Midwest Charity UPHA Chapter 3 Gaited Champion. 2008 Mid-America UPHA 3 Gaited Reserve Champion. 2008 UPHA America Royal 3 Year Old 3 Gaited Reserve Champion. Phind The Treasure- 2005 ALL AMERICAN CUP Top Ten. 2005 Wisconsin Futurity Weanling Grand Champion. 2005 BLUEGRASS LTD Top Three. RWGC sire WC Designed- 1997 UPHA Chapter V Fine Harness 2 Year Old Champion. 1997 Lexington Fine Harness 2 Year Old Champion. 1998 UPHA Chapter V UPHA 5 Gaited Classic Champion. 1999 Oklahoma Centennial 5 Gaited Junior Champion. 1999 UPHA Chapter V 5 Gaited Junior Champion. 1999 St. Louis 5 Gaited Junior Champion. 2000 UPHA Chapter V 3 Gaited Amateur Grand Champion. 2001 St. Louis 3 Gaited Amateur Reserve Grand Champion. 2002 Midwest Charity 3 Gaited Amateur Reserve Grand Champion. 2002 St. Louis 3 Gaited Amateur Reserve Grand Champion.